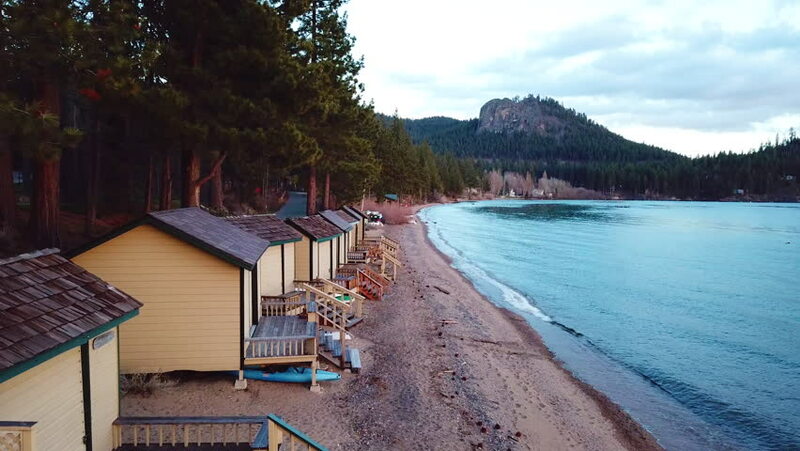 LAKE TAHOE, NEVADA - CIRCA 2018 - An aerial over Lake Tahoe, Nevada, cabanas along beach. 4k00:30LAKE TAHOE, NEVADA - CIRCA 2017 - Aerial of summer cabins and cabanas lining the shores of a resort at Lake Tahoe, Nevada. hd00:20KRABI, THAILAND - CIRCA MAY 2015: Phi Phi island bay at May 2015 in Phi Phi Islands, Thailand. Phi Phi Islands is one of the most beautiful sights in Thailand.